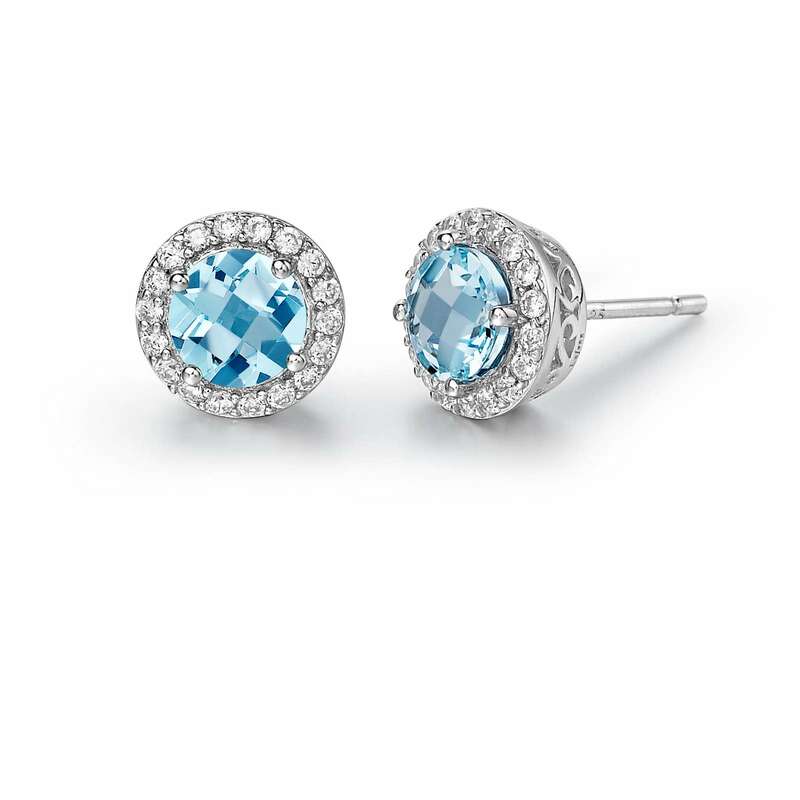 The clean look of Lafonn's Aria earrings adds class to any ensemble. 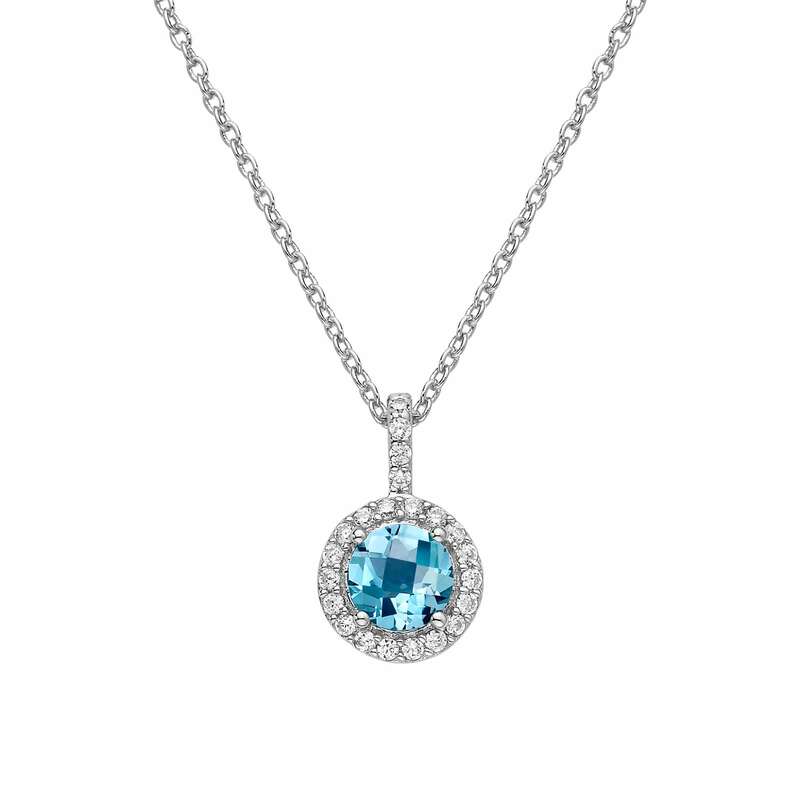 These classy earrings are set with a genuine round checkerboard-cut blue topaz surrounded by Lafonn's signature Lassaire simulated diamonds in sterling silver bonded with platinum. CTTW: Appx CTTW: 2.04 cts. 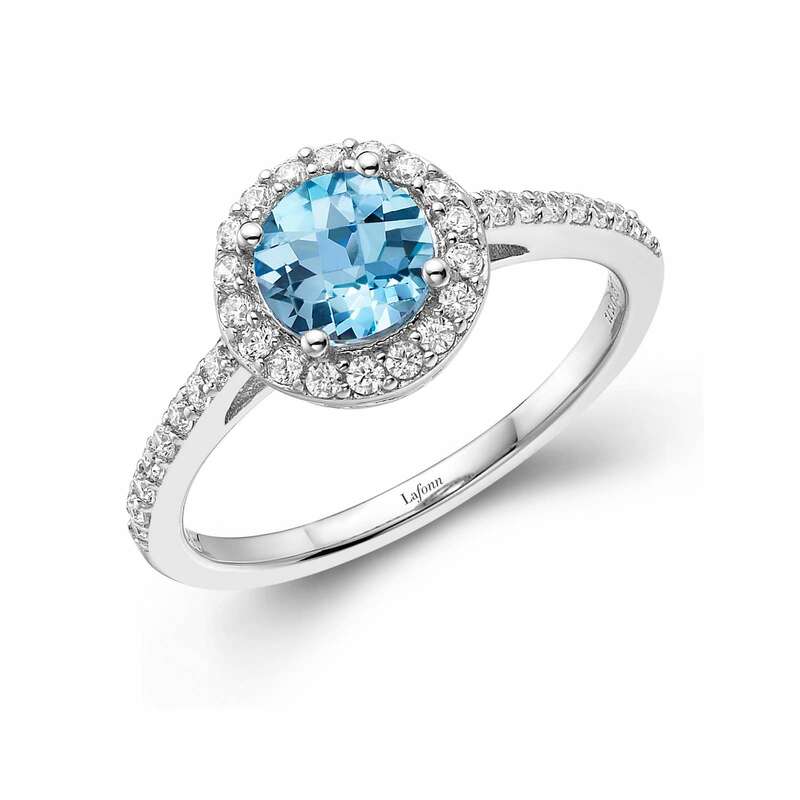 Blue Topaz: Appx 1.68 cts. Lassaire simulated diamonds: 0.36 cts.